Never has that statement been truer than right now. 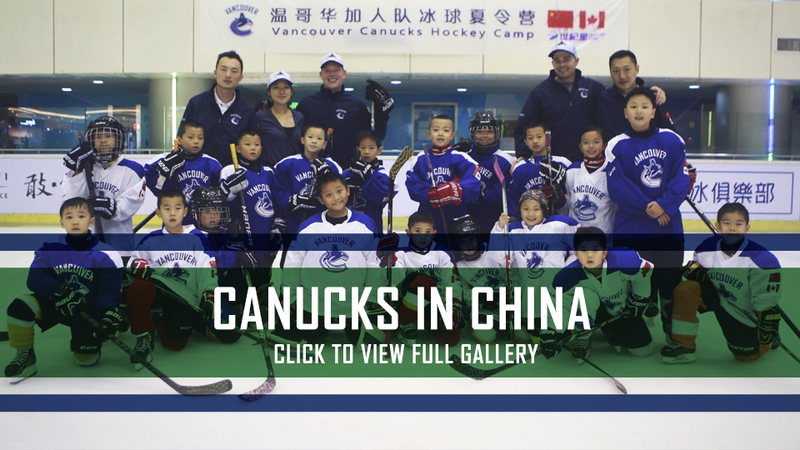 The Vancouver Canucks recently took part in inaugural hockey schools in China; the schools, presented by the Century Star Skating Club with support from the Canucks, took place in Shenzhen and Shanghai, China, from August 10-19, 2014. The camps were conducted by Aaron Wilbur, managing director of the Coaches Site, and Michael Butler, program coordinator for BC Hockey. Both have been involved with the Canucks Centre of BC Hockey. The Canucks make continual efforts to invest in the great game of hockey through communities all across British Columbia and are now excited to extend that investment with this unique opportunity in China. Check out the gallery and stay tuned for more videos. With support from the Vancouver Canucks and professional guidance from coaches Aaron Wilbur and Michael Butler, young players in China are developing a strong passion for hockey. See how overseas hockey camps have increased the popularity of the sport and inspired a group of kids and their parents. Aaron Wilbur and Michael Butler travel to China to work with Century Star Skating Club and grow the game with the next generation of Chinese players. Jack is a nine-year-old from Shanghai, China who loves hockey. If there ever was a question of whether or not hockey spirit was alive in China, it’s answered through his passion, determination and love for the greatest game on earth. Scoring is a critical part of hockey, but what you do next is also very important. Coaches Aaron Wilbur and Michael Butler remind the young players at their hockey camp, that it’s OK to have a little fun. Sometimes the player teaches the coach. In this case, a young player name Jason schools his coaches, Aaron Wilbur and Michael Butler.